"Today, we launch the P20 and P20 Pro!" The event is over, so let's recap what we saw today. The two phones looked a lot like the leaks we saw: Thin bezels, a notch, a fingerprint sensor on the bottom chin, and on the Pro, three cameras. 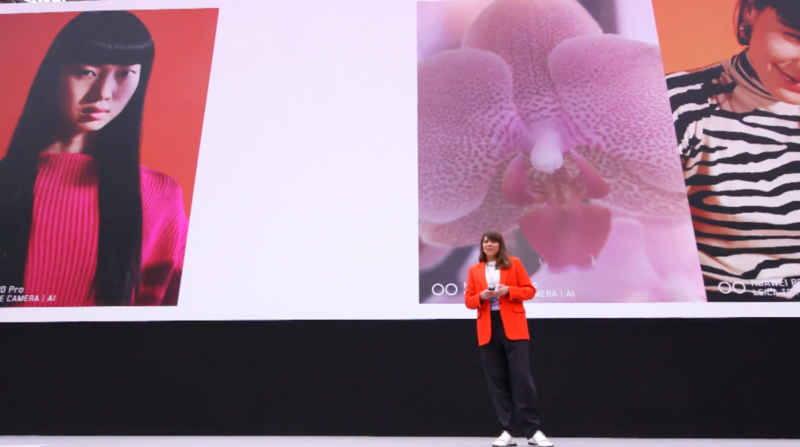 Huawei emphasized both the quality of the camera and the AI capabilities of the phones. And the camera was certainly worth boasting about: The P20 Pro looked incredible in low-light conditions, picking up details in what looked like darkness on other devices. The way it balanced light in shots with strong backlighting was also impressive to see. 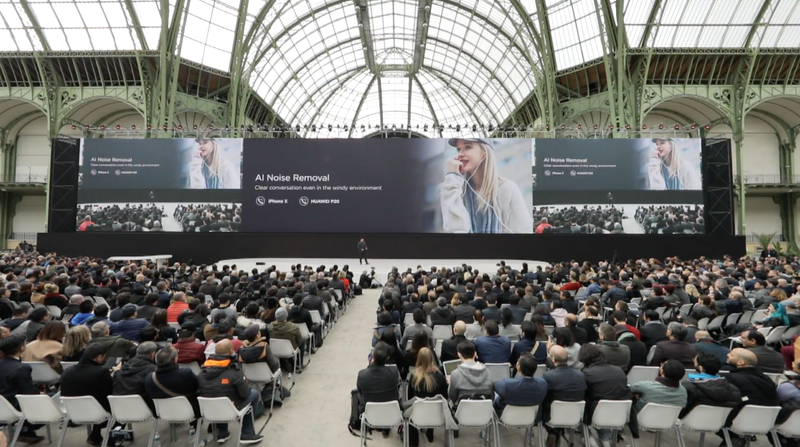 They also talked about specific ways in which the phone's NPU will enhance AI processing on the device, including removing background noise during phone calls. 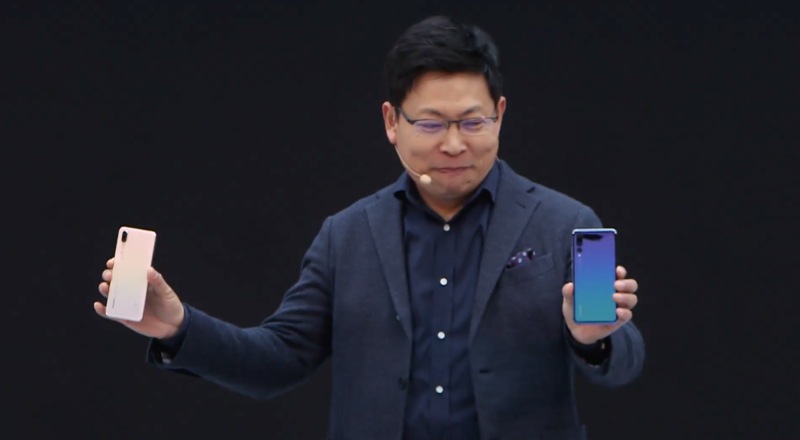 The phones will come in black, midnight blue, pink gold and "twilight" -- which features a gradient, starting with a blue-ish colour on one end and slowly becoming more purple at the other end. It's certainly unique: I don't think I've ever seen a handset like it. The P20 will cost around US$805, while the P20 Pro will sell for around US$1114. 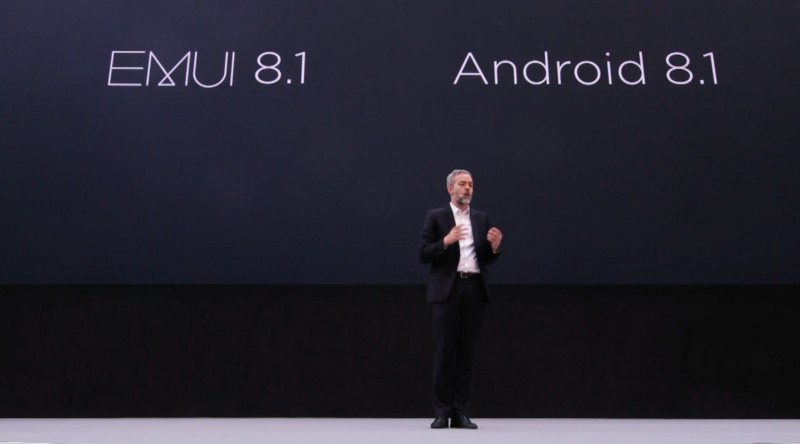 Huawei also showed off a different handset in collaboration with Porsche Design: The Mate RS, which mobile chief Richard Yu says stands for "racing sport". It's a distinctly different handset to the P20 line, with the same curved screen as Samsung's Galaxy handsets and a chin at the top and bottom (to show off that big Porsche Design logo). What's interesting is that the phone has two fingerprint sensors. One is embedded in the screen, but you don't need to touch the screen at all: Huawei says it can unlock the phone while your finger is still hovering over it. There's also a second sensor on the back, which the company says can "access a second, secure space." Befitting the premium positioning, the phone has an extremely premium price: The base model costs US$2101, while the top-of-the-line Mate RS is US$2597. 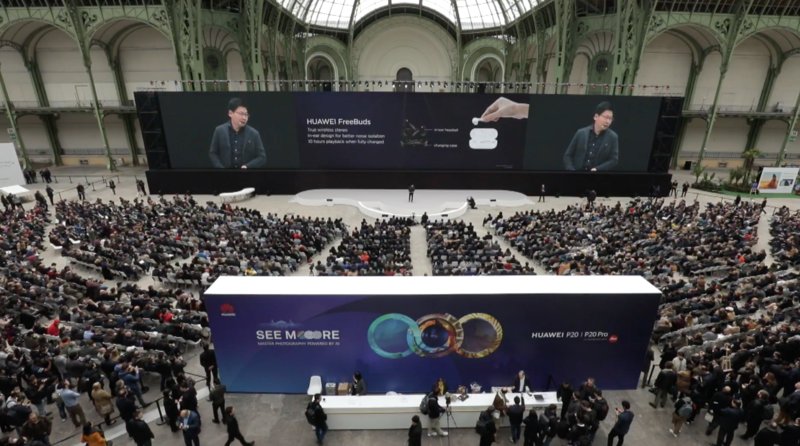 Huawei also showed off a number of accessories, including Free Buds: Wireless earphones that are their answer to Apple's AirPods and Google's Pixel Buds. They also, bizarrely, showed off a new selfie stick with a built-in flash. Who knew companies still made selfie sticks? We have given the US prices for reference... it will likely be quite hard to get your hands on one in the country given Huawei's recent difficulties. The Porsche Design Huawei Mate RS actually has TWO fingerprint sensors, including one embedded in the screen. The in-screen sensor can unlock the phone without a touch: Huawei says just holding your finger above the screen will unlock the phone. But there's also a second fingerprint sensor on the back, which Huawei says can "access a second, secure space." Not sure entirely what that means, to be honest. The Mate RS is distinct from the P20 and P20 Pro with bezels on both the top and the bottom and a fingerprint sensor on the rear. 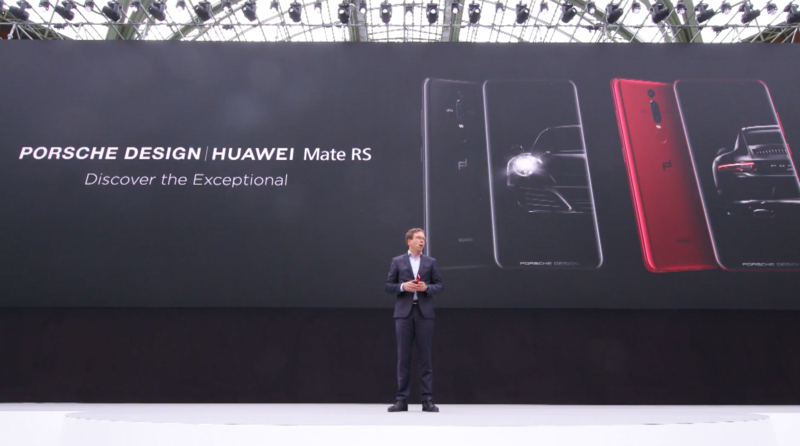 Huawei also announces the Porsche Design Huawei Mate RS available in black and bright red. 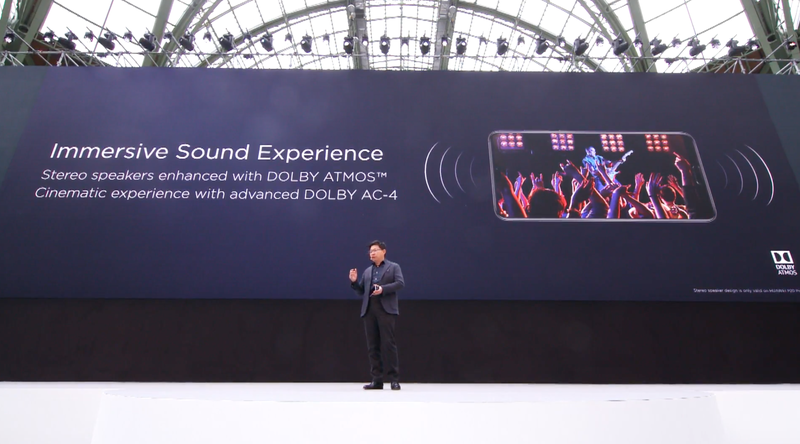 The P20 and P20 both support Dolby Atmos and a dual SIM. 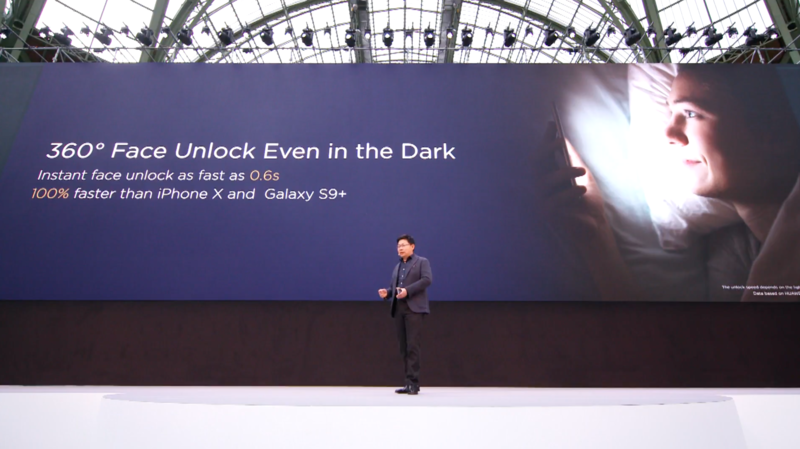 Richard Yu returns to the stage to talk -- briefly -- about "360˚ Face Unlock Even in the Dark." He says it takes just 0.6 seconds, but no word on how it works, and whether it can be fooled by a photo -- like Samsung's was in the past. The picture, showing a flash, suggests it doesn't use infra-red sensors for a 3D map of your face like the iPhone X. Sorry to bring up the notch again, but here's a great spot from Twitter: You can "hide" the notch on the P20 by turning the areas on either side of it black. With an OLED display, the deep black of the screen is virtually indistinguishable from the notch. 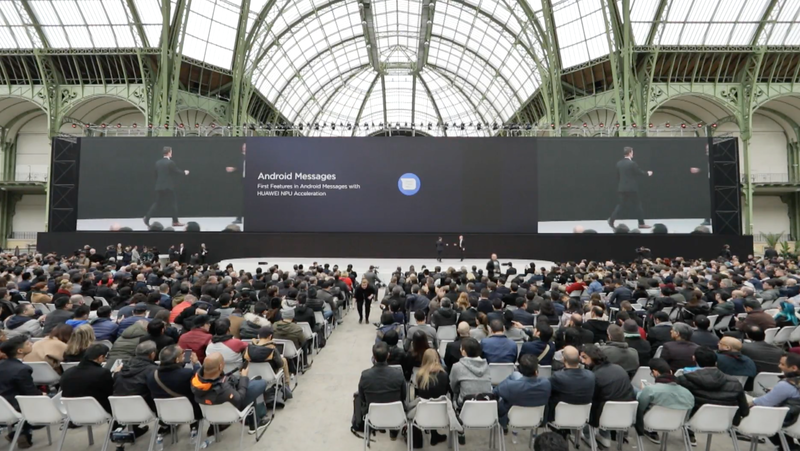 Google announces the P20 lineup will feature Android Messages -- a new default messaging app with features that tap into the NPU with Snapchat-esque AI features. 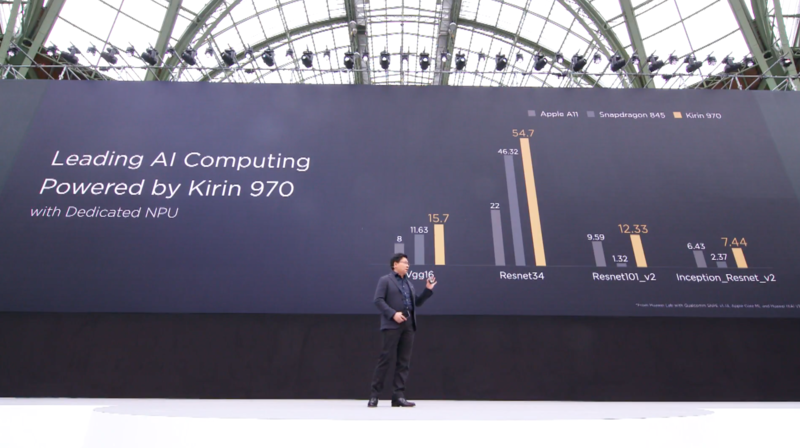 Huawei gave some specific examples where the NPU in the Kirin 970 makes the P20 faster than other phones. 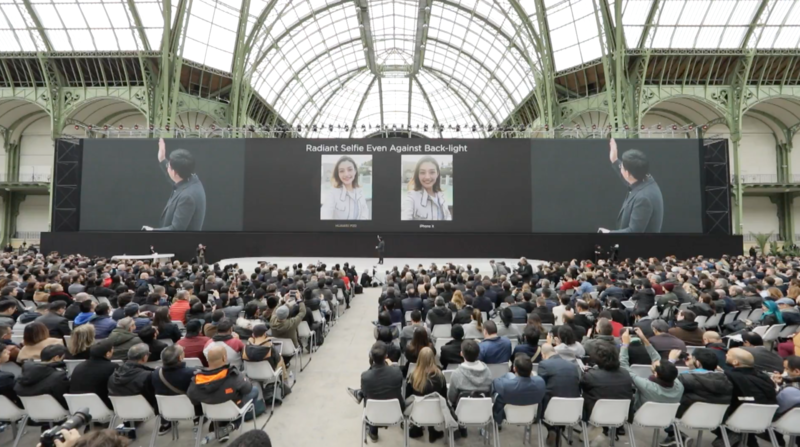 They showed image filter app Prisma working three times as quickly on Huawei's handset than the iPhone X, and even showed AI filtering out background noise in phone calls. Pretty impressive stuff. Along with photography, Huawei's other big selling point is always AI. Now they're talking up the capabilities of the Kirin 970 chipset, which includes a Neural Processing Unit dedicated to AI. Mel Bles says none of these photos were retouched on a computer. 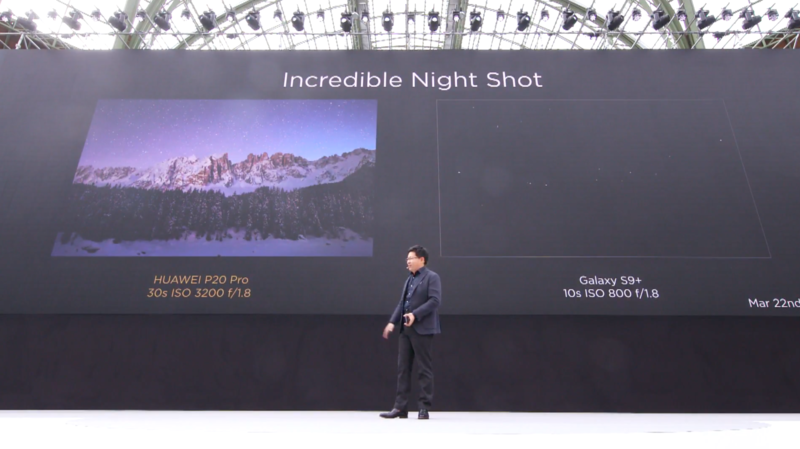 Professional photographer Mel Bles is on stage talking about using the P20 for shooting. 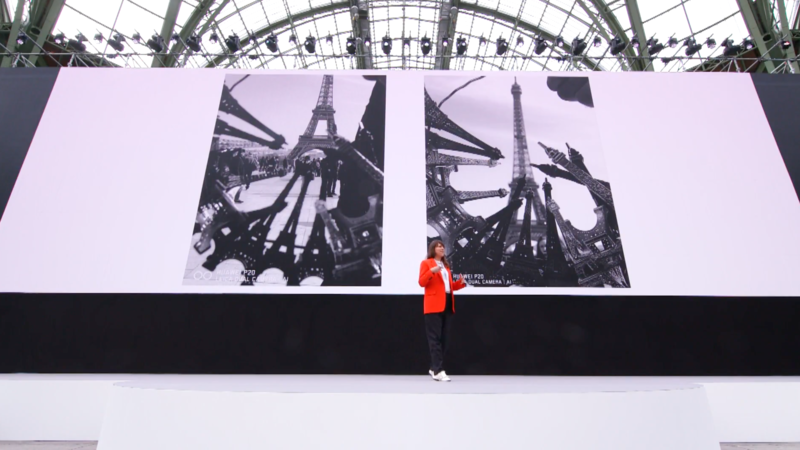 Some of the shots -- particularly the black and white photos -- are quite impressive. Apple's notch is not primarily notable as a design element, it's a function of getting face recognition to work securely. Everyone is copying the notch but not the reason for it. Richard Yu says the device uses AI in over 500 scenarios to help the phone identify different shooting scenarios, including -- a cat, food, documents, waterfall and flowers. 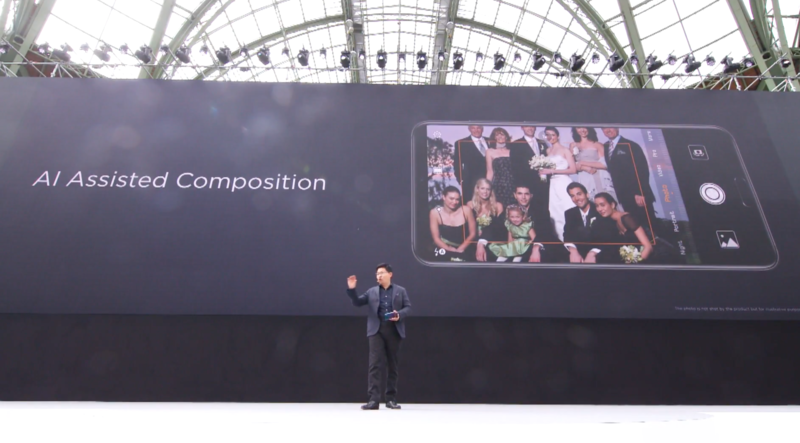 A surprise feature was the ability for the phone to help you compose a photo, for example including everyone when taking a group photo. Here's something really cool: Double-click the volume down key while the phone is locked and it'll snap a photo within 0.3 seconds. 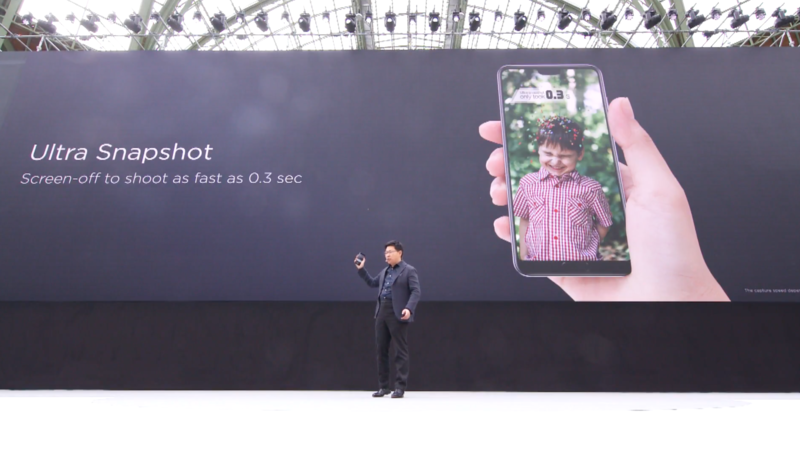 They also showed off 960fps super-slow-mo, just like the Samsung Galaxy S9. Differing lighting conditions are some of the trickiest spots for smartphone photography. Huawei's camera seems to perform well in darkness -- but also in situations with strong backlighting. You know how sometimes people are too dark in pictures when they're standing in front of something bright? Huawei's phones seem to deal with this really well. Having three cameras also allows the P20 to have an optical "zoom" -- switching to the telephoto camera for greater detail. As expected, the premium P20 Pro features three rear cameras. 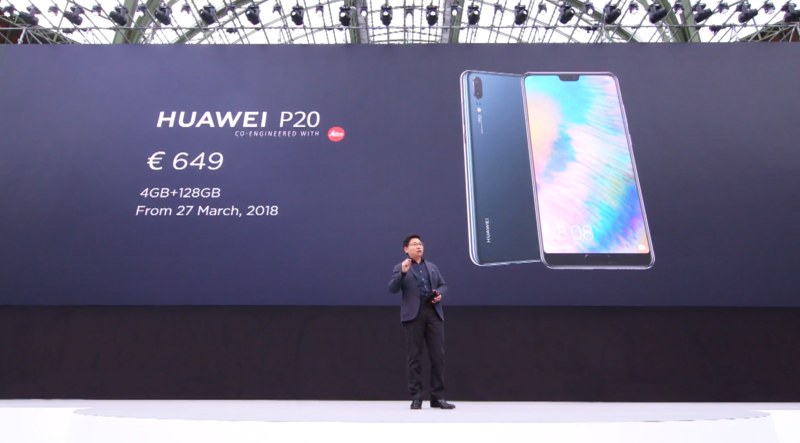 Huawei claims the P20 will help you take better selfies -- thanks to the P20's 24-megapixel selfie camera and editing capability. Phone companies often boast about the DxOMark, which measures camera quality. Much has been said about how accurate it is -- or isn't -- but something about it caught our eye. Earlier today, Xiaomi boasted that the Mi MIX 2S had the highest DxOMark score ever: 101. 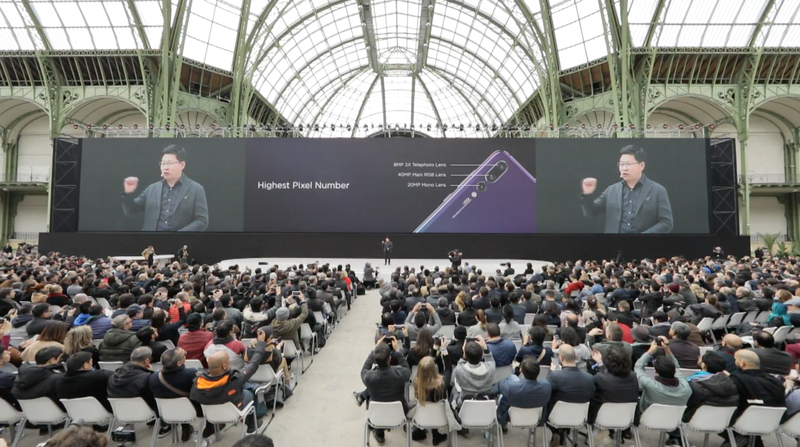 Just a few hours later, Huawei unveiled their score... 102. That won't go down too well with Xiaomi. 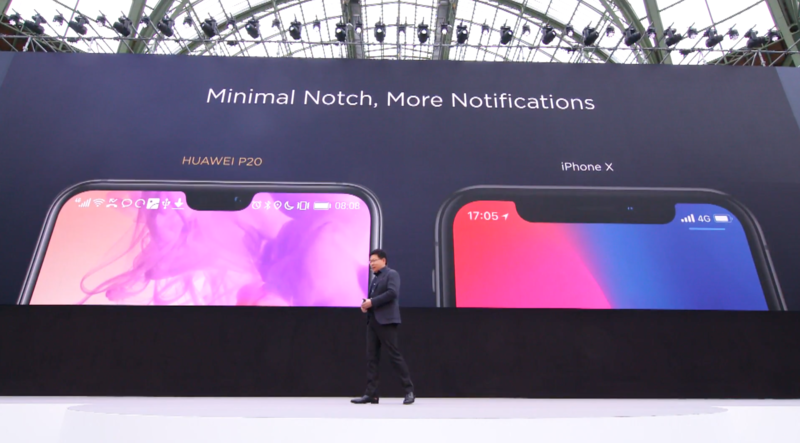 Richard Yu is comparing the notch on the P20 and iPhone X, touting how much smaller Huawei's notch is. Worth noting of course that the iPhone's notch has the Face ID facial unlock in there -- while Huawei's phone retains a fingerprint sensor on the bottom. 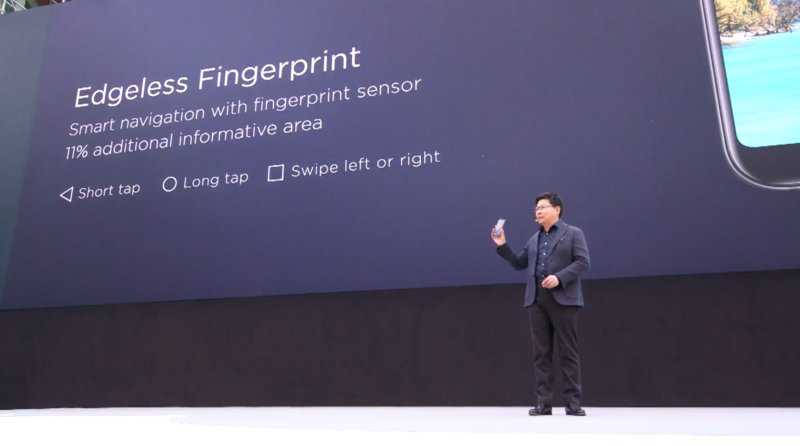 Interesting too that of the big smartphone makers unveiling flagships recently, Samsung, Xiaomi and Huawei all announced phones without in-screen fingerprint sensors. Vivo appears to be the only one making handsets with in-screen fingerprint sensors so far. The bottom bezel houses a fingerprint sensor which doubles as a navigation device for the phone. Short tap to go home, long tap to go home and swipe left or right. Graphite black, midnight blue, pink gold and twilight. 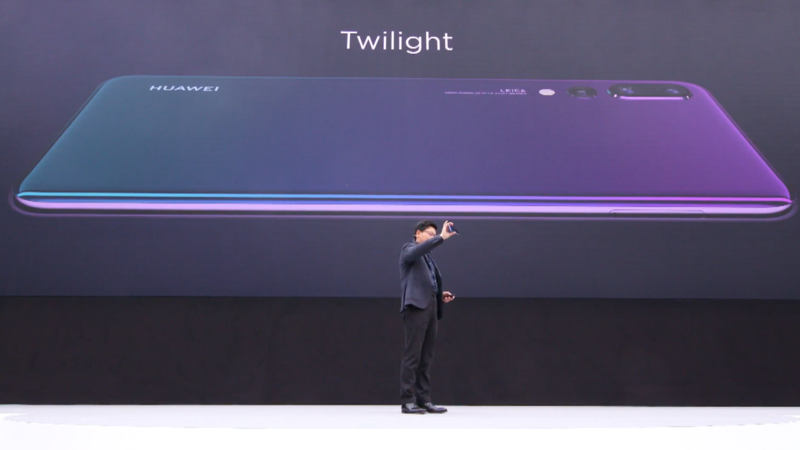 The twilight phone actually has a color gradient -- it shifts color from blue on one end to purple on the other. Yup, the P20 has a notch. It's smaller than the iPhone X's notch, presumably because it doesn't have the array of Face ID sensors on Apple's phone. 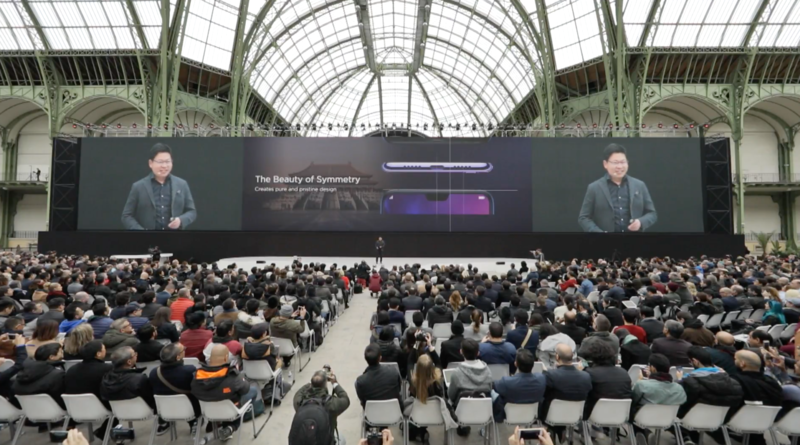 Yu is talking up how symmetrical the phone is, suggesting it's inspired by Chinese architecture. 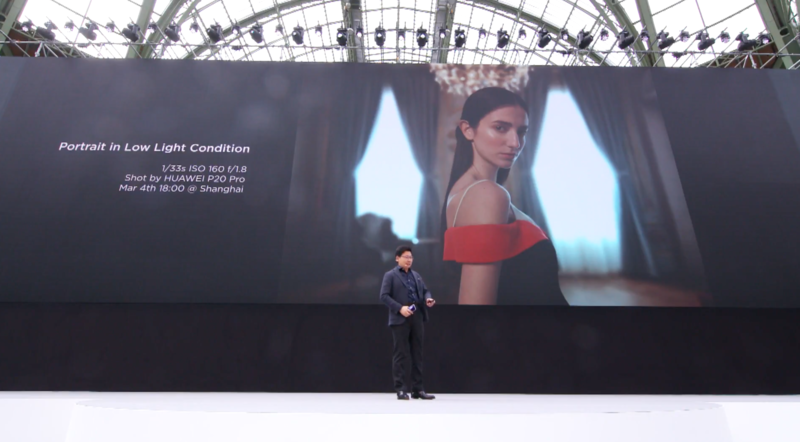 Richard Yu starts by touting Huawei's camera technology, which leads to... the P20 and P20 Pro! Yu says it's "master photography powered by AI." 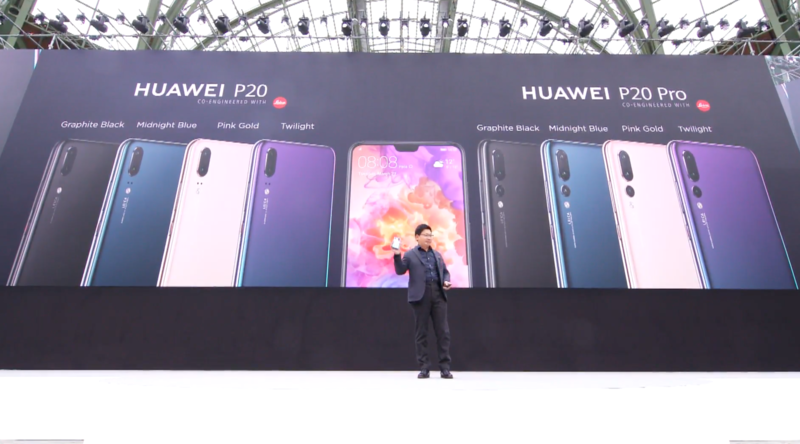 Huawei is showing a video about its "global partnerships" featuring carriers like Orange, Telefonica, Vodafone -- notably absent are any US carriers who have spurned the company. If you're wondering what to expect today, Huawei's Twitter account says it'll be the P20. And the hashtag, #SeeMooore? The triple O there hints that the rumors are correct, and this phone will have three cameras. No matter what company it is, every keynote begins the same way: With numbers! 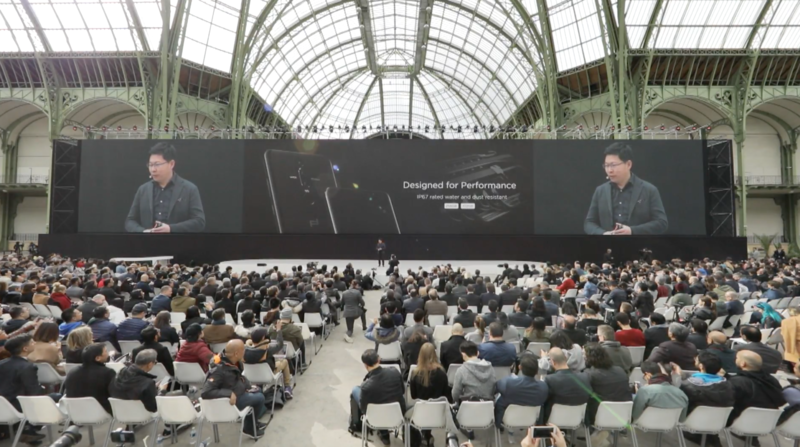 Richard Yu is talking about Huawei's rapid growth in the last few years, as it consolidates its spot as one of the top three smartphone makers in the world. He's also talking up Huawei's R&D spending at facilities across the world. We're ready and waiting for Huawei to announce a new set of flagship phones. Five minutes until the event will start at the Grand Palais in Paris.